The South China Sea (SCS) is an important body of water that affects a wide range of human security aspects, including economy, food, health and environment, of the countries and people around it. 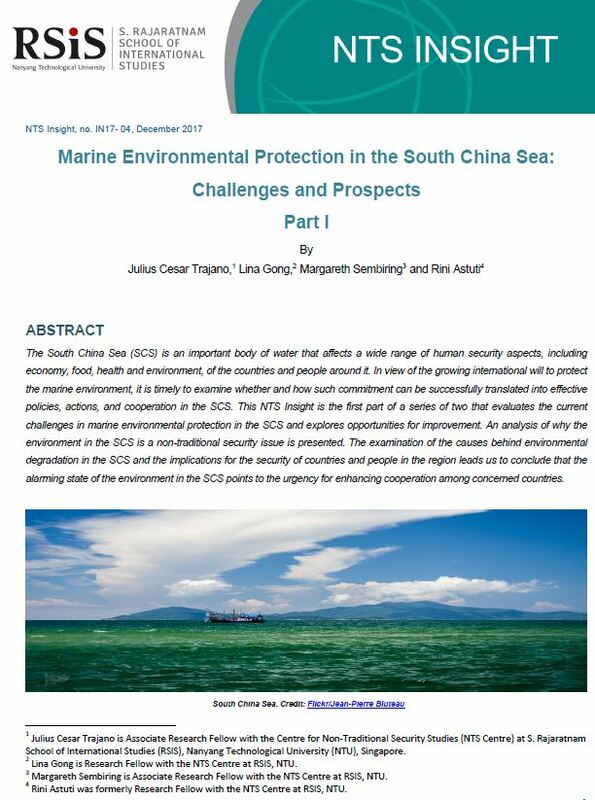 In view of the growing international will to protect the marine environment, it is timely to examine whether and how such commitment can be successfully translated into effective policies, actions, and cooperation in the SCS. This NTS Insight is the first part of a series of two that evaluates the current challenges in marine environmental protection in the SCS and explores opportunities for improvement. An analysis of why the environment in the SCS is a non-traditional security issue is presented. The examination of the causes behind environmental degradation in the SCS and the implications for the security of countries and people in the region leads us to conclude that the alarming state of the environment in the SCS points to the urgency for enhancing cooperation among concerned countries.